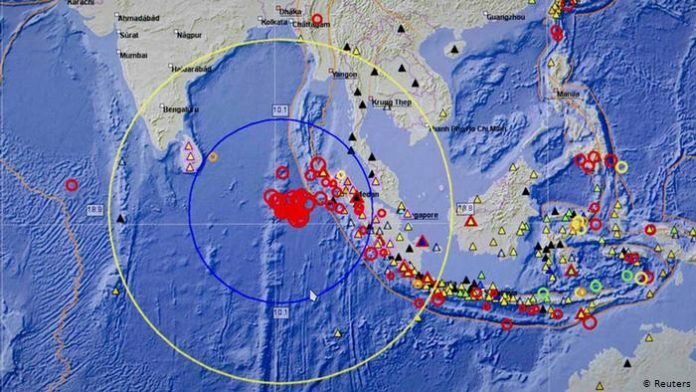 Home World Affairs Indonesia To Install Tsunami Early Warning System. Indonesia To Install Tsunami Early Warning System. Indonesia is set to install buoys and cable base tsunameters (CBT) near Mount Krakatau volcano on Wednesday to give early warning when tidal waves occur near the volcano, officials said. The move came following the tsunami triggered by eruption of Child of Krakatau volcano in December that left over 400 people dead, more than 14,000 injured and massive damages along Sunda Strait. The Indonesian agency for the assessment and application of technology (BPPT) will install a buoy and a CTB together in the water near the Mount Krakatau, said agency head Hammam Riza. “The CBT is a cable with a censor placed on sea floor to gauge the extreme change of pressure underwater which indicates a tsunami. The censor will send the data through a satellite to the receiver post onshore,” he was quoted as saying by Xinhua news agency. The CBT is important in sending near field tsunami signal, the official said.Two other buoys will also be installed along the west coast of Sumatra Island, waters off Bengkulu province, and along the south coast of Java Island, he added.Mount Krakatau is situated near a busy shipping lane, an industrial zone and tourist destinations. Previous articleBrexit: French President to meet UK PM in Paris.